The thing about HTPCs is that, while they are squarish most of the time, they aren't usually short (as in not tall). While there are some low profile HTPCs, that is more the area of set-top boxes and nettops, because HTPCs can benefit more from a full-size graphics card than a low profile build. 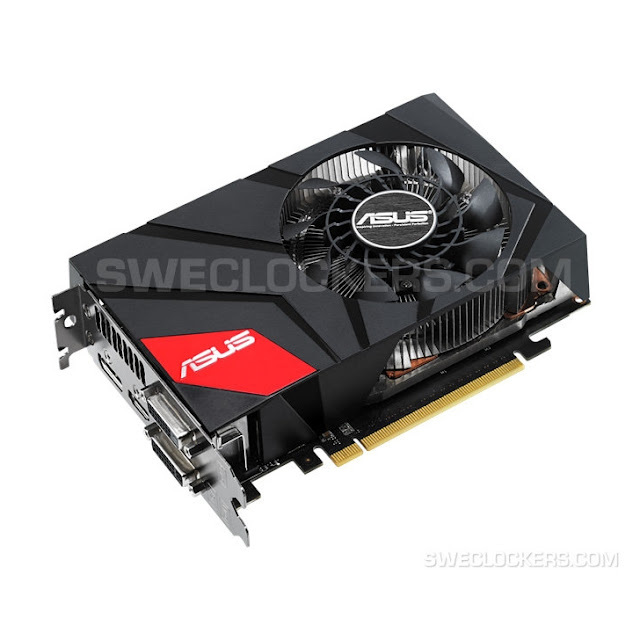 That is why ASUS saw fit to release the short, mini-ITX-ready but full-height GeForce GTX 670 DirectCU Mini graphics adapter. It supposedly runs at 26 MHz better GPU frequency (so 915 + 26 makes 941 Base clock, and 980 + 26 leads to 1,006 MHz), while the memory is left at 6 GHz. This is what SweClockers reports anyway. Dual DVI, HDMI, and DisplayPort connectors are available, along with a single-fan cooler (aluminum base plate for VRM and memory, copper vapor chamber for GPU). Sales will start in April 2013, by which time the price will be out as well.